Quotes Competition Quotes I am in competition with no one. I run my own race. I have no desire to play the game of being better than anyone. I just aim to improve, to be better than i was before. I am in competition with no one. 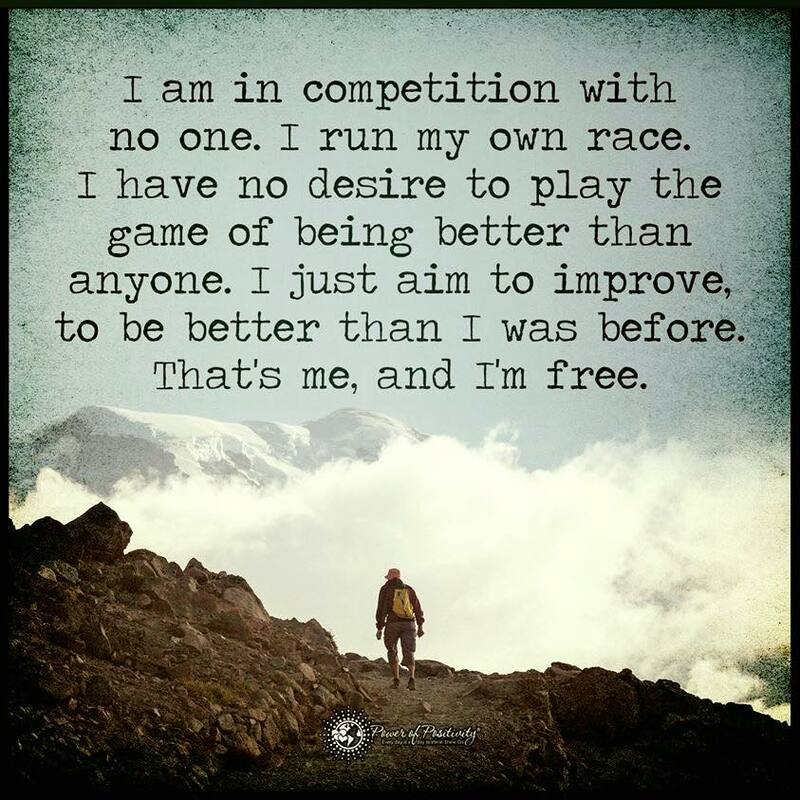 I run my own race. I have no desire to play the game of being better than anyone. I just aim to improve, to be better than i was before.